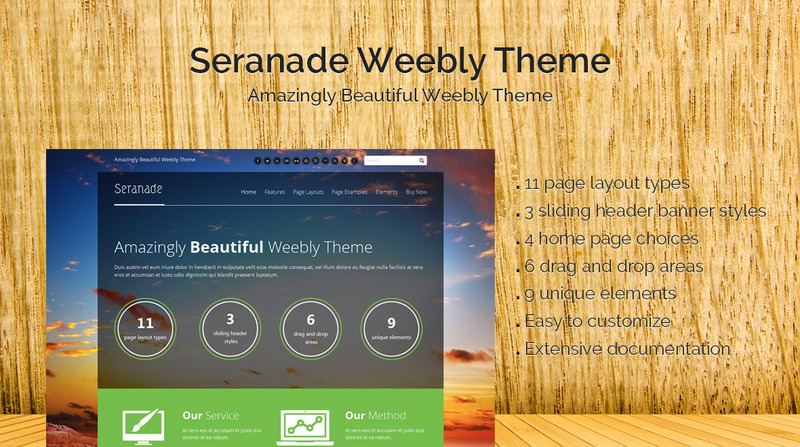 Seranade is an amazingly beautiful Weebly theme and Weebly template. 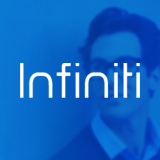 Its stunning, bright and modern design makes it perfectly fit into current web design trends. You will find it so easy to customize and make it your own with its 11 smart page layout choices, 3 sliding header styles, 6 drag & drop areas and 9 unique elements. Get it now to make your site shine, brightly! Investing a little time and money in your own unique design for Weebly makes sense. Only if no matter how affordable, the theme remains useable and relevant over time. We work constantly behind the scenes to keep pace with improvements to Weebly so your Baamboo Weebly theme keeps working continuously for you. Baamboo Studio Weebly Themes are yours forever, to use as often as you like. We support our Weebly template for life. Meaning while ever we offer a theme for download, we continue to support it. We give free updates. Meaning whenever we add a new feature, fix a bug or update a theme in any way, it's yours to download fresh and free. Just because Baamboo Studio Weebly themes are as easy to use as Weebly this doesn't mean we expect you to know everything. We provide full and easy to follow documentation with every theme. We also provide you with online FAQ and one-on-one support. What are you waiting for? Download your new Weebly theme now and let's get started on the best website you'll ever make – even if it's your first!